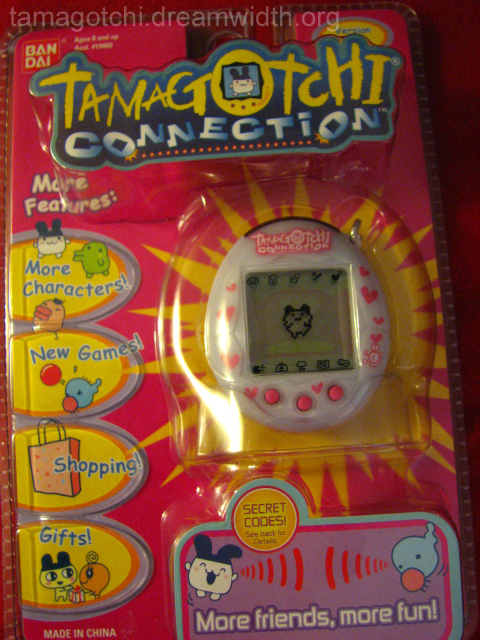 The second version of the Connection Tamagotchis, this one is exactly the same except with a few more/different characters and a couple extra features. 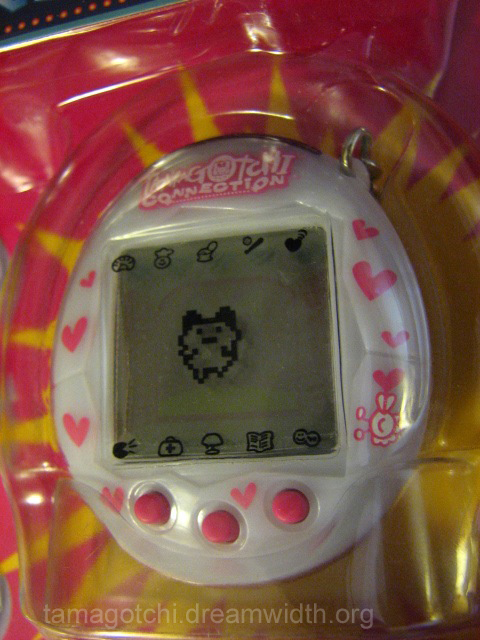 The extra features include a shop where you can use points to buy your character different items to eat and play with. 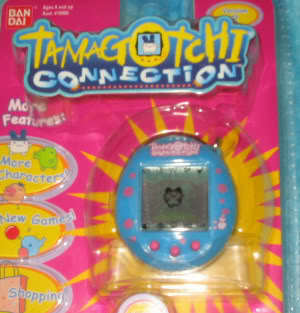 You can also give other tamagotchis presents using the connection feature. There's more room on the friends list as well so you can have up to 50 friends names! How do you get points? 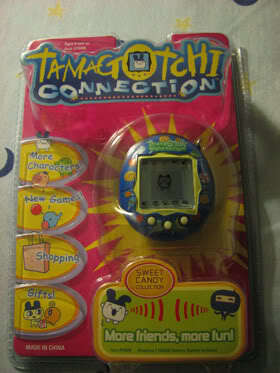 You play with your Tamagotchi! Every time you play, depending on how well you play your character can gain points. There are also secret codes to get free items. 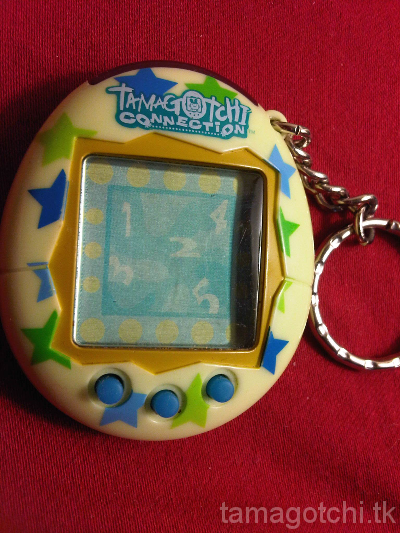 Your v2 Connection tamagotchi also has a few more games than the v1 Connection. 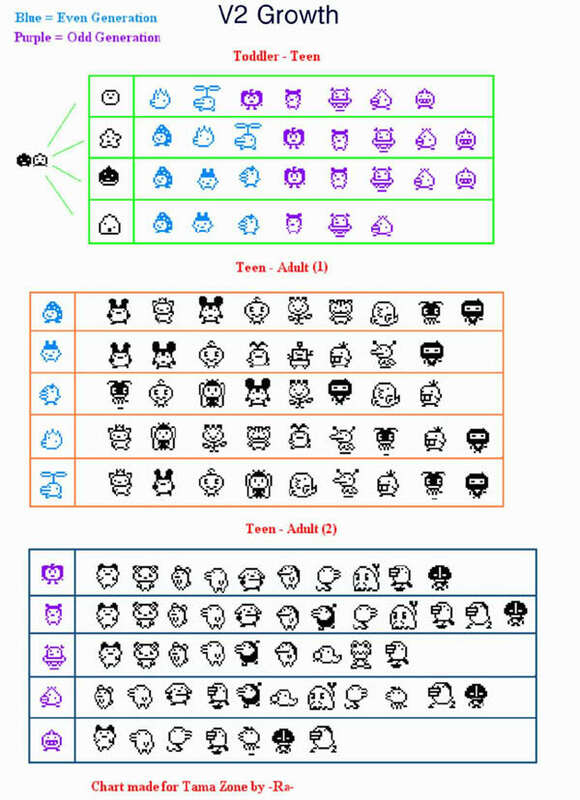 As it grows older, the games are unlocked. Right now V2's seem to be going for around $15-20, which is not a bad price.